Make these quick, easy, and fun holiday placemats and learn a few new tricks along the way! 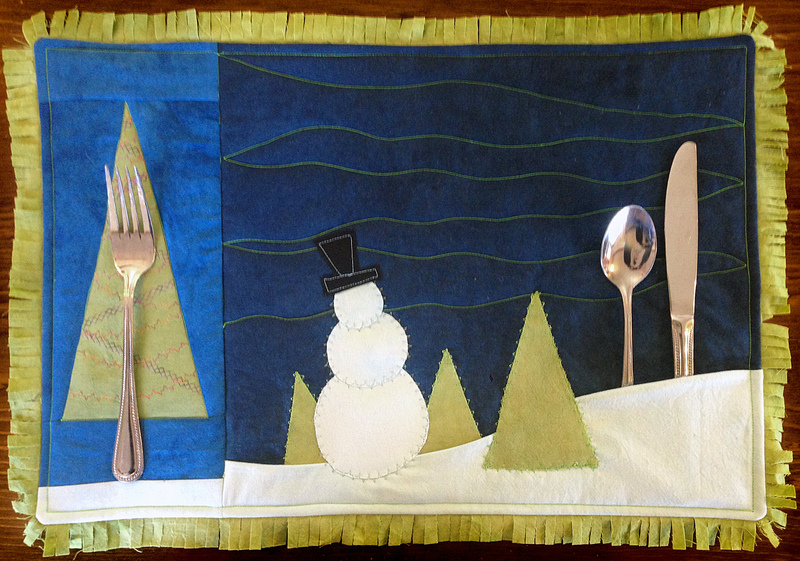 These quick and easy holiday placemats are made using several unexpected quilting techniques. Decorative stitches are used to embellish the large tree. 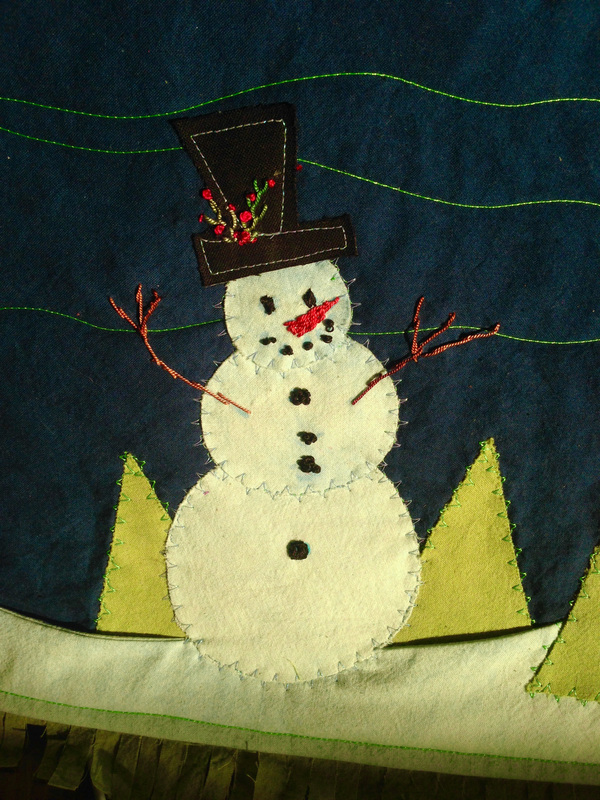 Ricky's unique double-fuzed appliqué method is used for the smaller trees and the snowman. The main snow bank is not sewn to the background which creates a pocket for eating utensils! The edge is totally finished by machine and features fabric-fringe. Not only are these placemats perfect for your holiday table, but you can make them quick as a wink and learn a few new tricks along the way! If decorating your dinner table is fun, personalizing it is even better. Ricky designed these Frosty Forest Placemats keeping a few things in mind. He wanted them to be quick and easy to make (great for newbies and kid-helper friendly). 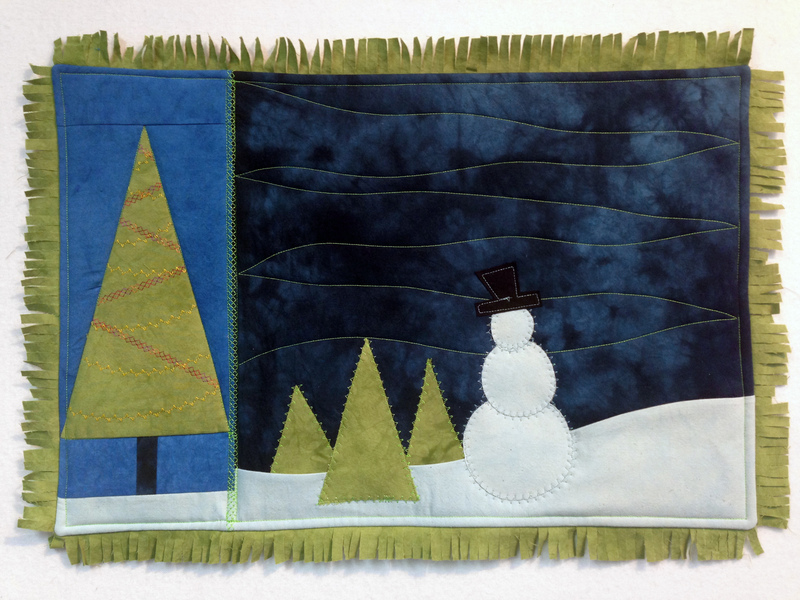 He incorporates techniques that are not usual for quilters (so you can learn something new). And finally, he wanted to create a project that could be personalized. Ricky suggests a few design options to help spur your imagination. How about replacing the snowman with a bear? How about decorating the snowman to match the characteristics and personalities of family members or friends? Get the kids involved! 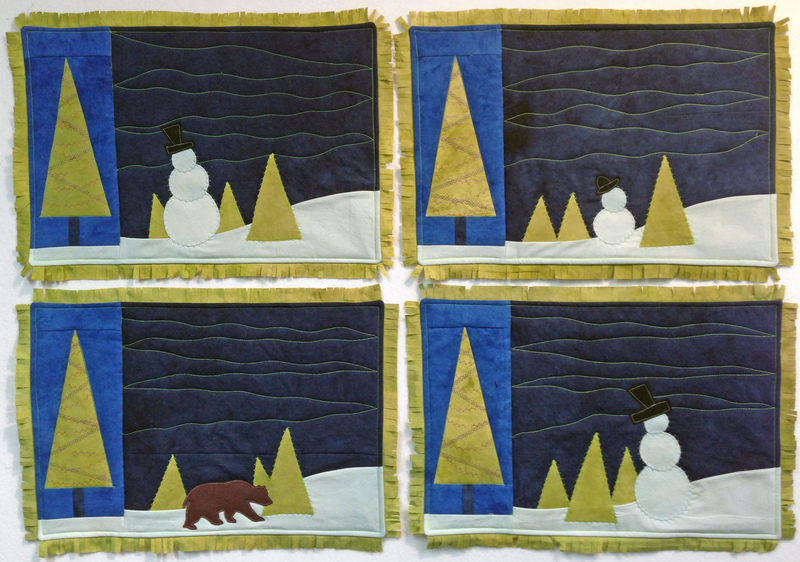 Have fun making these Frosty Forest Placemats. They are sure to instantly become family treasures. CLASS INCLUDES BONUS VIDEO - with renown international hand needlework expert, Judith Baker Montano. Frosty Forest Placemats was added to your Cart.